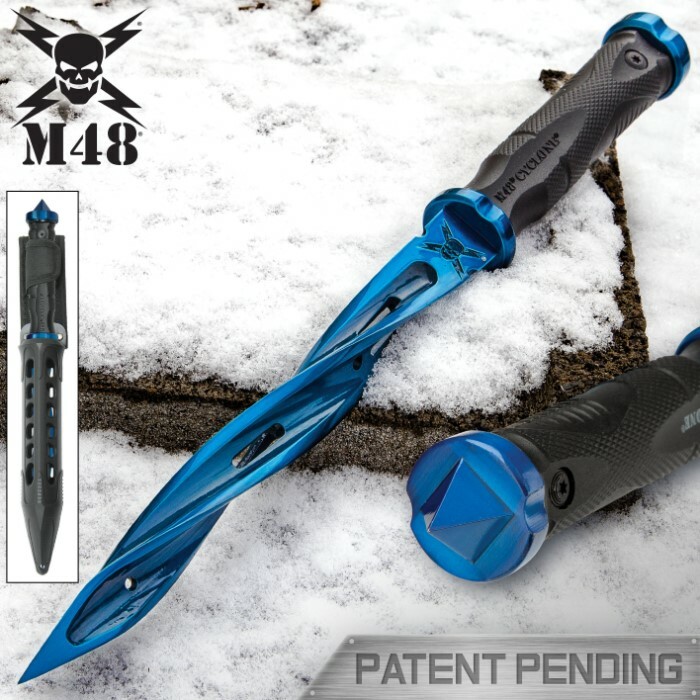 With a blade that has been crafted into a spiraling masterpiece of design, you have never seen anything that compares to United Cutlery’s new M48 Cyclone Fixed Blade Knife! 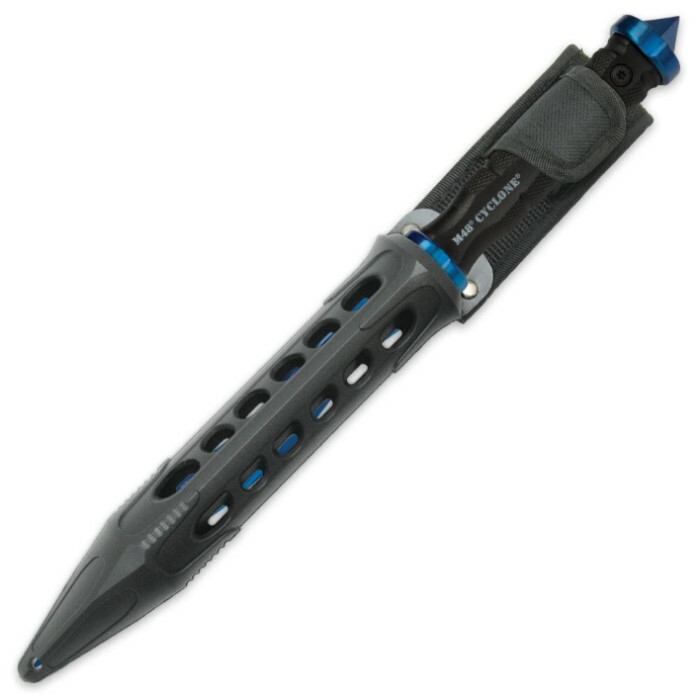 Three spiraling cutting edges come down to an incredibly sharp piercing point. 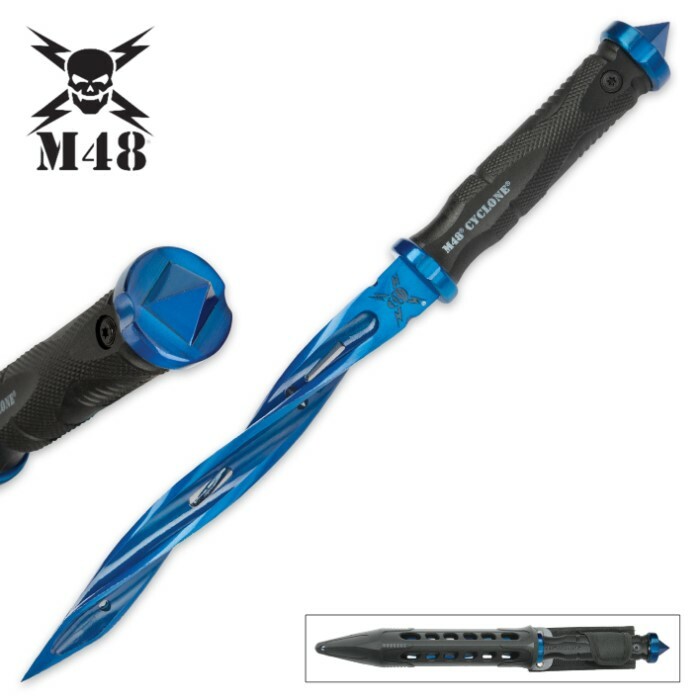 The 8” blade is crafted of cast 2Cr13 blue stainless steel and, as with all M48 knives, the glass-fiber-reinforced nylon handle gives you a strong and secure grip. A solid stainless steel hand guard and skull crusher pommel are additional features that make the Cyclone such an exceptional fixed blade knife. The blade slides into a specially designed TPR and nylon belt sheath that fits like a glove. This is an M48 masterpiece that will go quickly, make sure you're one of the first to have one!